They are many striking examples of the artistic medium given life by the digital SLR, but if you browse the net you'll begin to see a common denominator...... They're all music videos with sound and effects added later. Why? Basically sound was an after thought. On the DSLR's for instance the microphone is obviously on the the camera, an inch from the photographers mouth so all you'll get on the sound track is breathing! Heaviness dependent on work rate obviously!!!!!! As the mic is part of the camera body you pick up a lot of focus motor noise. But the D5 and D7 and now the D7000 have a 3.5mm jack I heard you say. At the Broadcast Video Expo in Earls Court, London, a show aimed at the top video producers and technicians in the country. my most asked question was??? How do we get decent sound out of a DSLR? Mainly from Photographers now using their cameras for video! It is quite hard with just the camera, even if you know what you doing. Plus Canon 5D 3.5mm jack input has an awful automatic microphone level control, giving you little chance of putting down anything decent in sync with the pictures. The only answer is to go back a few years, pull the clapper board out of the attic and record the audio separately, laboriously syncing everything up in the edit. Have Canon been listening to you? Maybe???? Have a look at the new 5D menu on the right! Click on the menu to find out more. The new firmware upgrade states:- "Improved audio functionality will allow users to set sound record levels manually using a sound-level meter displayed on the LCD screen. The audio sampling frequency has also been increased from 44.1KHz to 48KHz, providing the optimum audio signal typically required for professional or broadcast material." 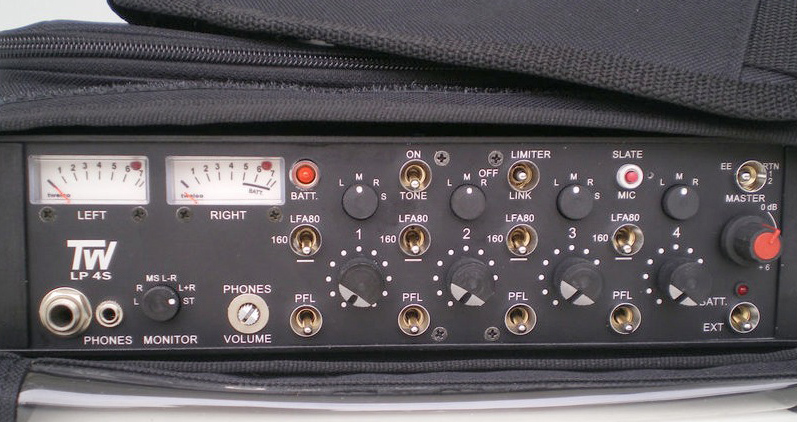 Not only are they upgraded the digital sampling rate within the camera to 48k, making it compatible with all professional equipment and software, they are making the audio input manual (you can turn the auto off) and you have audio metering in the eye piece - suddenly you have access to branch out from Artistic videos and use it on serious documentary footage! With the right leads, instead of messing around with bits attached to the camera, it's now possible to use a decent Audio mixer giving fantastic audio quality, in sync, and great control and monitoring of the audio , whilst the camera simply has a light cable attached. Recommends, well what about the Rolls MX410? Small Portable with four inputs meaning you can cover most situations and a mic level 3.5mm output perfect to go into your DSLR mic input. And at a Price/Budget you can afford! Unless you are recording a TV drama or film, professionally you would not tend to record in stereo on location. The use of stereo on location recordings complicate the post production editing and sound mixing (dubbing) process and takes up valuable time, which if you’re up against schedule limits, be that broadcasting or exam, it’s a pressure you can do without. The only time I would contemplate the use of stereo would be on an atmospheric shot - say a wide shot of students milling around a campus - and then only if really necessary. The fact is most material/programmes will be viewed on a TV with the loudspeakers only a little distance apart, meaning all your effort in producing a stereo programme will actually be lost on the audience. Location recording is not just about getting the best quality recording possible, but it is about planning ahead and trying to make the post production as simple and easy as possible. The more simple you can make the recording and the more decisions you can put off until the edit/dub, the better. 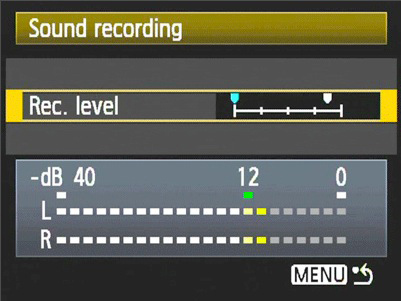 On a professional camera the audio tracks are not actually labelled left and right, but simply called tracks (or channels) 1 and 2. What you have is the potential of having a 2 track audio recorder! The ability to record two separate things. Even on a semi-pro camera, there will be external xlr connections marked channel 1 and 2, so make use of them! For instance, if you are recording an interview and were to mix the two microphones together whilst recording, they are forever joined, you can’t separate them later, so you are tied into the decision made then and there. The trick is to separately record the interviewer on track 1 and the interviewee on track 2, so when you come to the edit (and have good listening conditions), you can mix the sound tracks accurately or it maybe you can decide whether you actually want the to use the interviewers questions at all! If you’re recording an event or something that is happening live, i.e. you have just one opportunity to record the situation, give yourself options! Put a decent directional camera mic on track 1 and your presenters radio mic on channel 2 - you can decide which to use or how much of each to use later in the dub. You could have the camera mic on channel 1 and someone with a sound mixer (with all the other mics) on channel 2? Or take both channels from the mixer output and separate specific microphones left and right (to tracks 1 and 2) - give yourself options! Think and plan, don’t just turn up expecting the internal stereo microphone to do the job - unless you’re into ‘atmospheric’ and echoy programmes! If you walked around the circle drawn around the microphone head talking, it would pick your voice up at the same volume all the way round. This type of microphone is used as ‘Personal’ lapel microphones and in journalistic interview situations like post football match interviews. The next progression is the ‘Cardiod' pattern’. As shown, if you walk around the back of this microphone, volume will drop off until you’re virtually unheard. This sort of microphone can me used in noisy 'hand-held' interview situations and is used frequency for stage performances where the ‘dead’ area of the microphone is faced off to the foldback loudspeakers. A development of this is the Hyper/Super Cardiod pattern of microphones. The pattern has been modified to give a very front facing pick up pattern, with a very ‘dead’ area at 30 degrees to the rear, but with a small extra lob towards the rear. This microphone is used extensively in professional recording. A further development of this is the ‘Gun’ microphone. 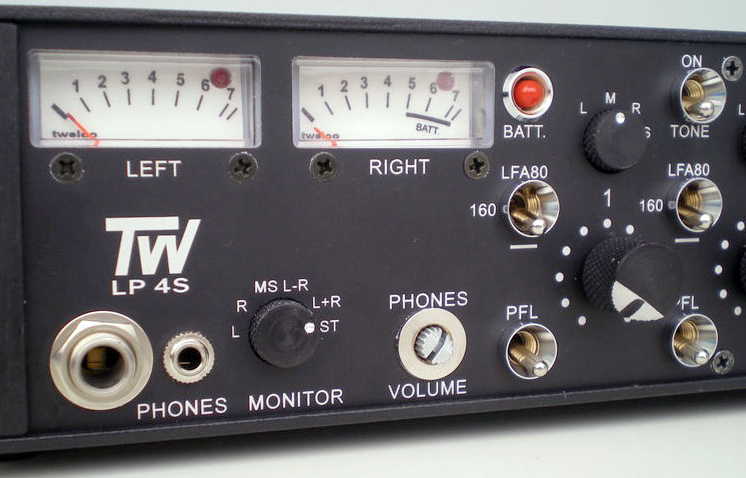 The 416 microphone is used extensively in professional location recording. It’s the microphone you usually see in a Rycote “Hairy” basket. What you notice is that although the overall pick up follows the ‘Super’ Cardiod pattern, as frequencies rise (the Blue pattern), the pick up becomes quite irregular and much more directional. There are other microphone pick up patterns, but the above gives you an introduction to the main ones you’ll come across. Whenever using a microphone to record it’s very important to know the characteristics of that microphone and how it works, and most importantly – listen to it!!!! Listen to how it works by moving it around until you get it in the best position. So how does MP3 achieve this? As well as applying a mathematical formula to the raw PCM data to reduce its size, it applies what is called ‘Auditory Masking’. If a loud sound happens at the same time as a quieter sound, it decides not to record the quiet sound as it’s ‘Masked’ by the louder sound as you can’t hear it. Basically in recording an MP3, it has decided for you what you can and cannot heard and discards the information it feels doesn’t matter. When I first heard an MP3 file played back on a decent Hi-fi (an orchestral track), I was at first quite impressed. It sounded as if the Orchestra had been closed mic’d rather than a simple microphone pair slung overhead. But as I listened I began to feel something was wrong. It took me nearly 5 minutes to work out why……. There was no hall!!!! There was no acoustic on the recording – the hall reverberation had been removed by the processing, making it quite a dry recording. If you listened very hard you just make out the dying reverb simply vanish at a given point. Back in 1993 the average PC had just 32mB of RAM, a CPU speed of 60Mhz and the biggest ‘industry’ hard drive available was just 1Gb. The Internet was in its infancy and you would have to wait a few years till you could achieve 56k on dial-up! We now have RAM size, CPU and broadband internet speeds in the Giga bits and hard drives in the Terabyte (1,000gB)! 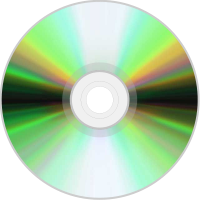 With all this space and speed it seems crazy that we’re only just beginning to use CD raw quality PCM files on our computers (WAV & AIFF), such has been our preoccupation with the MP3 format. Plus Blu-ray now gives us uncompressed audio 5.1 soundtracks with our films. There has been a myth that has pervaded over the years that ‘Digital’ is perfect and once you are in the digital domain (i.e. on a computer) then deterioration of quality is a think of the past – don’t believe it!!! And especially if you start converting between file formats - There will be degradation! So record in a raw format and stay with it right through the production process if possible. 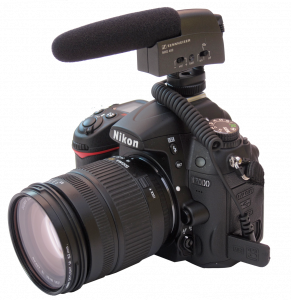 If you’re recording the audio to camera then HD format cameras give you the best sound file formats. MP3 has served us for a long time, it just seems amazing its taken so long to return to an audio quality first achieved over 25 years ago. Incidentally, the only time I can see the use of MP3 as a recording format is in a ‘news’ type situation, where you haven’t got long to record your interview and there’s a noisy background – the MP3 processing may help you lift the speech clear of some of the background noise, but then again perhaps you should look to record it properly!!! So what’s the big deal about lighting? Surely if you can see what your shooting, you just point and shoot and the camera takes care of the rest? And if it’s dark then cameras have their own light source, a built in flash for stills and video cameras can have a little ‘head light’ fitted, so what’s the problem? The mistake here is to assume that your camera is as good as your eyes, frankly they fall far short. Then, even if you have sufficient light on your subject to render it visible, it can be the difference between an ordinary picture and creating a great image where the lighting is placed and controlled in such a way as to enhance the artistic qualities of the picture. Consider a portrait shot, whether for stills or moving image, if we have just one light (or flash head) where do we place it to enhance the picture? To understand the answer to this question we need to consider the effect that a light falling on a subject has - other than making it brighter like the ‘front on’ built-in camera light source. 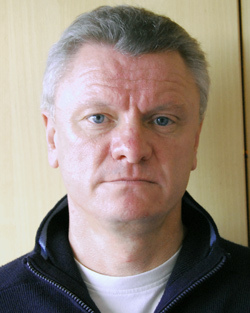 A portrait lit with the flash or light source on the camera shows little or no shadow on the face and the resulting image looks rather ‘flat’. If the light source is moved from directly in front the subject (i.e. not the built-in light source), the person or object on which the light falls now casts a shadow which we can see, and it is these shadows that helps us create a feeling of depth and mood in our picture. Move that light 45 degrees left or right of the camera and elevate it and we start to see classic looking shadows from the nose and chin. If there is no other ambient light then this can look a bit dramatic as the shadowed areas of the face are very dark, but if we add a gentle light to help lighten or fill these shadows then we can still see the modelling that the first light gave but the picture looks more natural and less dramatic. Remember a camera does not have the dynamic range of your eyes, so where you can see detail in the high contrast shadows, the camera will not. 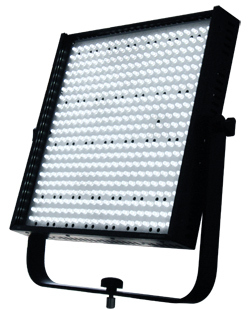 This second ‘gentler’ light source need not necessarily be another lamp or flash head, it could just be a well placed reflector or piece of white card, reflecting the light onto the face from another light source. ting towards the subject, adds a rim of light that helps separate the subject from the background lending further depth to the picture. 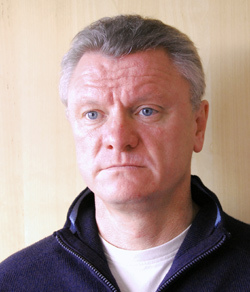 The technique just described is known as three point lighting and has been used in film and TV for many years as a basic form portrait lighting and yet it suits well for stills as well and is very flexible since there is wide variance available in the placing of those three lamps which can vary the mood from light and airy to dark and foreboding. 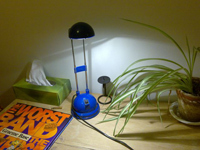 The pictures shown here to accompany this article were lit using a combination of up to three Ikea style 20w desk lamps. Should you use the ‘on-board’ microphone on your camcorder or should you plug in a sound mixer with headphones and an alternative microphone to give you ‘separate’ sound? During my years at the BBC, one of my responsibilities was as a Sound Recordist for National Radio Documentaries – the sort of full-blown documentary that used to go out on Radio 4, rather than the news driven programmes that now seem to proliferate today. Then, working with a Producer and probably a presenter, we’d go out on location and record interviews and material to edit and dub a programme together back in the studio on tape or computer. 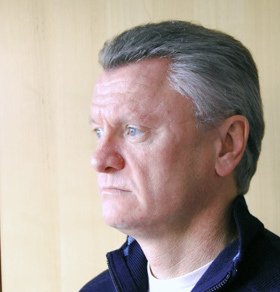 My responsibilities were both technical and artistic – not only was I responsible for the technical quality of the programme, but the artistic feel and atmosphere of the programme. The Producer having talked through their overall view and requirements for the programme would then concentrate on the editorial content and the presenter, leaving technical and artistic issues to me. It was very rewarding to be involved right from the recording through to dubbing and mixing the final programme. With the commercialisation of the BBC and a director General who only understood News, pressures were put on Producers to save money and not to take a sound recordist with them (a whole other story and debate!!!). But, the upshot was that producers were trying to do all the location recording themselves as well as produce the programme – the result being many programmes had to go through a rescue session in the studio as obviously the producer had been concentrating on the editorial issues, not anything technical. Remember this ‘rescue’ was always making the best of a bad job; you can’t make a good quality recording from a bad one – the original recorded material always dictates the overall quality. I remember a particular Radio 4 Producer who had landed a very rare interview with Spike Milligan. He arrived and set the recording equipment up on a table in-between them. It was a stereo microphone and unknowingly he had pointed it towards the ceiling! The result a two hour interview, which if you listened to in stereo sitting exactly in the middle, was just about bearable (if a bit too echoy), with him and Spike hard left and right on the loudspeakers. If you turned the recording into Mono by adding the two tracks together (or indeed moved from your ‘middle’ seating position), they disappeared down a 20m hallway into the bathroom! As you have to consider Mono, as most people won’t be in that ideal stereo listening position or they’ll be listening on their small kitchen radio, it made the interview unbroadcastable, which was a pity, as the producer was not going to get a second interview! So what has this to do with the use of camera mics??? The first point to make is that using a sound recordist, i.e. having someone solely responsible for sound quality (recording ‘separate’ sound), is a good idea. If you then take the situation above and add video to the equation, as we are visually driven, it pushes the sound quality even further down the priority list, particularly if you’re working on your own! So your ideal crew is a Producer/Director to take care of editorial and overall creative matters, a cameraman to put those ideas into the visual arena and take care of the video quality and a sound recordist to do the same with the sound side. A lot of programmes today are shot with a two man crew, with just a director and cameraman and the sound is somewhat left to chance. Even if you then consider perhaps a two man crew with a Cameraman/director and separate sound recordist, you still have a conflict in the director/cameraman role where the editorial content will suffer and while you concentrate on the ‘pretty’ pictures! I can relate a story that happened to a sound recordist friend of mine. He was booked to go on a 6-day shoot to South America to follow a couple on a trip. Two days before leaving the director phoned up to say the budget could not afford a full crew so she had decided not to take a cameraman and she was going to film it herself. As it’s usually the Sound Recordist that gets dropped, you might think it a result for sound quality??? The actual result was that in 6 days of shooting they came back with 56 hours of material/footage for a 50-minute programme!!!! What happened that the director was so involved in the editorial side she didn’t know when to stop, she’d even shot without the sound recordist plugged into the camera (i.e. mute!) in case she missed something. A Professional Cameraman would have come back with perhaps 12 hours of material at the very most. In his head, as he shot, he would put edited sequences together as he went, so giving the director enough material to cover a scene and an easy editing job for the editor back home. As it was she had 56 hours of resulting unsequenced material to watch and log before even thinking about constructing a scene. The resulting overall costs were probably more (although not as accountable) and the programme of much lesser quality. Now having said all this, there are times when I’d consider, as a Professional Sound Recordist, allowing a cameraman to use the on-board camera instead of my ‘separate’ sound and these are principles you can apply to the simplest of projects. I’ll talk about this in part 2. So when should you use the ‘on-board’ microphone on your camcorder and when should you use a sound recordist with audio sound mixer and ‘separate’ sound? It all comes down to thinking forward to the final finished item and how you’re going to use not just the sound, but also the footage itself. The most important sound item you’ll record is speech. Obviously use of the camera mic, unless you can get the camera with a few feet of the person speaking is going to be practically useless. Now the simple way around this is the use of Radio Mics. These have seen a huge increase in use over the last years as Sound Recordists are dropped as unnecessary from the crew and Producers seem to feel this is the only way to record speech. The problem with use of Radio Mics is that it’s not actually the best way to record sound – for a start you’ve lost all perspective in the sound – it doesn’t match the pictures having become internal in nature like a narration rather than the person on the screen talking – have you ever rested your head on someone’s chest, covered the ‘free’ ear and listened? Most of the sound comes from the chest and throat area, not the mouth. Therefore use of a Sound Recordist with boom and quality microphone is the way forward, positioning the microphone, overhead, just out of shot. Not only will the microphone give you the best quality (look at my article on “does Quality Matter”), but also it will give you the same acoustic as shown on screen. Other elements of sound recording need to be considered individually. 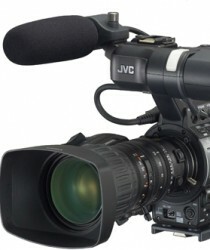 The recording of what we call ‘Actuality’ (action happening in front of the camera to be used as part of a piece) will probably be better captured by a recordist, with the ability to point the microphone in the best direction to capture the relevant sound and perhaps reject other sound by using the ‘dead’ rear of the microphone. Or perhaps just keeping the sound recording clear of a noisy cameraman! Consider a situation where you’re recording a wide landscape shot – it maybe that pointing the microphone in the direction of the camera simply picks up some noise being coming from somewhere unseen – machinery or factory perhaps. 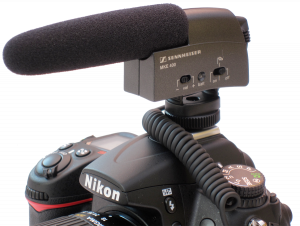 With your directional microphone you can take open sound from the completely opposite direction – as there is no specific action in the shot the sound will match. So when would I as a Sound Recordist, very interested in quality, consider allowing a cameraman to use the on-board camera instead of my ‘separate’ sound? The simple questions to ask are: “Is the sound going to be used?” or “How important is the sound”. It maybe the cameraman is just shooting ‘Cutaways” for an interview you’ve previously recorded and they will be shots dropped in over the interview to cover edits, so the sound is superfluous. Even if he’s recording some action to use as a cutaway, the sound will be very much background in the audio mix. Is the sound going under music? In which case would you hear it? There are also safety considerations some times. It maybe the camera is going to run around with the camera or he’s working near machinery? In both cases the last think he needs is someone attached by cables to the camera. Letting a cameraman simply use the camera mic is not a dereliction of duty for a sound recordist, just a good judgement of the circumstances and an understanding of the medium and the whole production process. Video technology has moved on so quickly, today you can even record video on your mobile phone. It’s revolutionalised journalism, with reports and news video footage from places that would have normally been impossible even 5 years ago. Just think about the protests recently after the Iranian elections and how little would have been reported world wide had it not been for mobile phone video and chat rooms! 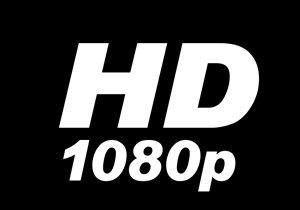 So is having a video capability on a stills camera just a marketing gimmick? Or could you use a stills camera to shoot your video? Whilst the use of mobile phone footage on the news has very much seen the case of content being much more important than the actual quality, you couldn’t really justify it’s use over a good video camera on your media project without some artistic reason. If ten years ago I’d presented the staff at BBC news channel with video content of this quality they would have refused to broadcast it and laughed me out of the room! In our media world we’re only just beginning to get used to the idea of video cameras with solid state media cards rather than tape - I now warn you, your world is now about to be turned on it’s head!!! The new kid on the block takes the capability of digital SLR’s to shot video to another level and will start to cause all sorts of dilemma. The new Canon D5 Mk2 not only has a very large CCD (see “Size does matter!“) giving you true HD pictures at the chip, it also has a 3.5 mm jack audio input allowing you to record your own sound rather than use the internal microphone, plus it records directly onto the flash card in Quicktime format so iMovie and Final Cut have instant access. Obviously being an SLR you have a huge availability of differing lens and…….. it retails at under £2,000 - cheaper than your semi-pro HD video tape cameras! Plus your using standard Compact Flash cards the SLR which are far cheaper than the extortionate price companies like Sony are charging for the bespoke cards used in their semi-pro solid state tapeless video cameras. Quick, go chat up the head of photography! 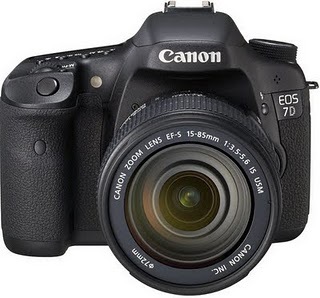 Have a look the above shot on the new Canon D5 MKII and take look at Damien’s Professional Blog PROPHOTONUT to find out a little more from a photographers point of view.